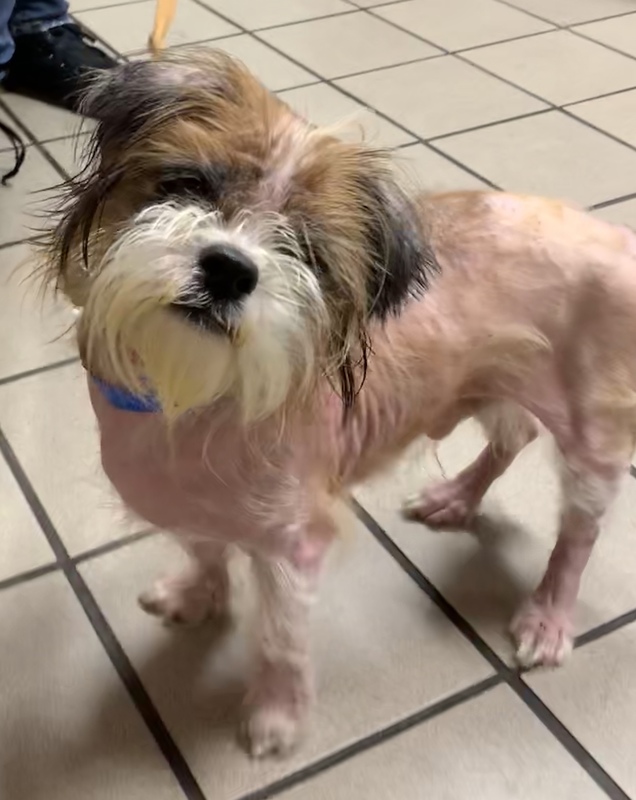 4 years Tri-color Shih Tzu/Maltese mix When sweet Oliver’s owners dumped him at the shelter, no one could believe the condition in which they left him....practically bald, skin inflamed, and mats of hair embedded in his tail. In spite of this, however, Oliver greeted everyone with kisses and tail wags. Just proves once again that rescue pups are the most resilient and forgiving creatures in the world..., and in Oliver’s case, the happiest and most loving, too! 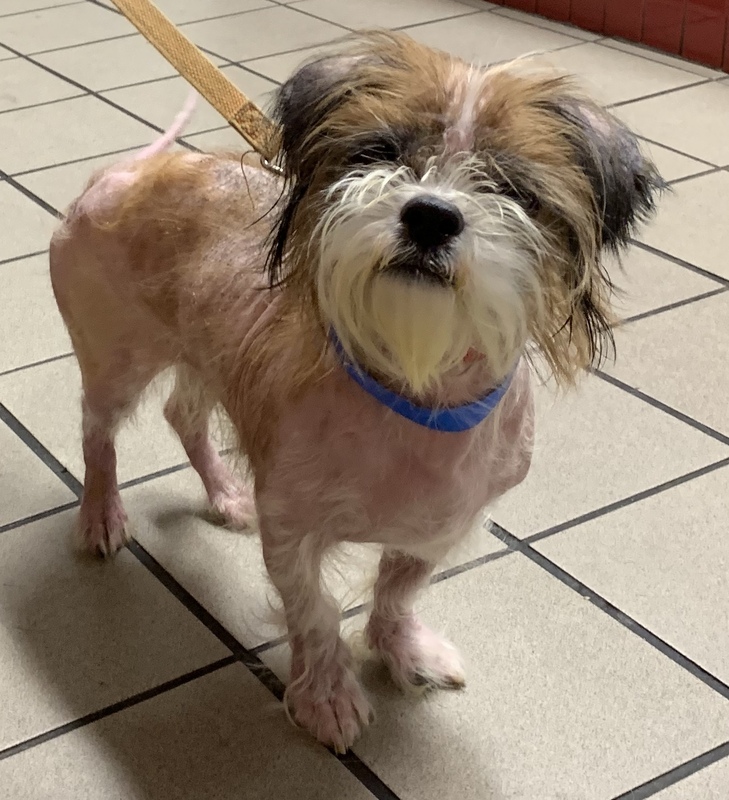 The best news is that Oliver’s skin will heal, and his hair will grow back. 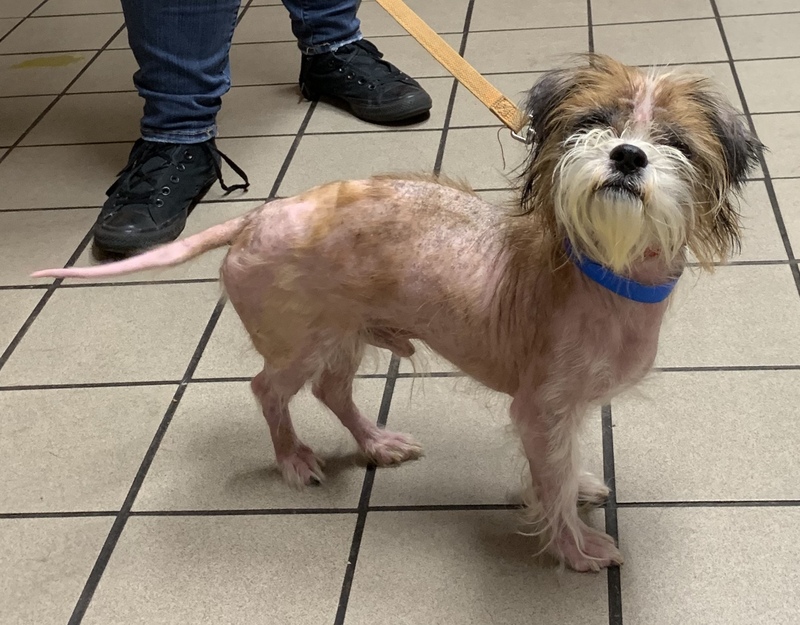 With tender loving care, some medication, and a series of special baths, he’ll be even more handsome than he already is! Oliver weighs 12 pounds and is neutered, microchipped, and current on all vaccines. The only thing he’s missing is a loving forever home! Might that home be yours?